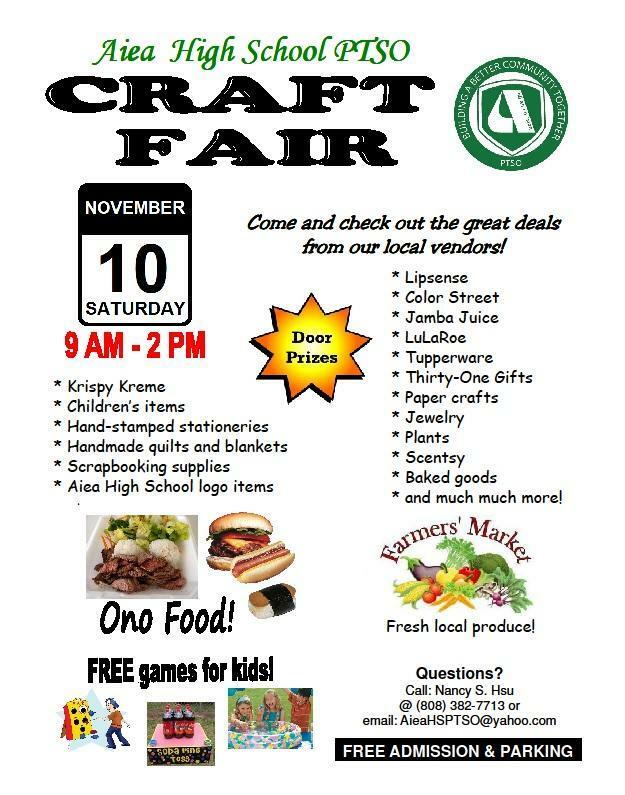 The Aiea High School PTSO will be holding its annual Craft Fair on Saturday, November 10 from 9am to 2pm at the Aiea High School cafeteria. This year’s craft fair will feature fabulous local handmade arts and crafts, fresh produce, and delicious food from local vendors. There will also be games and activities for children. Vendor spaces available. Please download the application below. Questions? Please call Nancy @ (808) 382-7713.